What makes our materials so popular? 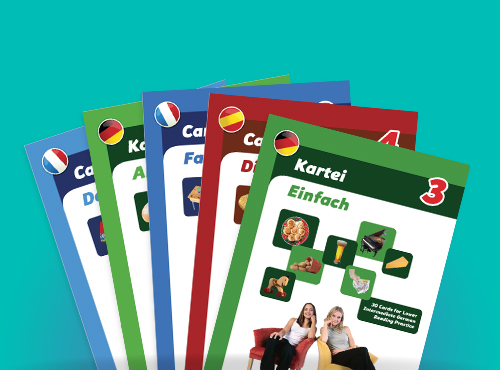 Developed by experienced language teachers, these unique reading practice cards are designed for individual, “self-service” use. They can be placed in a Resources Centre, used in class (e.g. for carousel activities) or borrowed for homework. The cards are intended to be printed and laminated to be used again and again. Students help themselves to cards, answer the questions in their exercise book, then mark their work (or their peers’) and write their scores on the record sheet. There is no preparation, marking or duplication for teachers, allowing time to be spent where most needed.